Over the course of the past 15 years John B has become one of the most eclectic, unique and respected artists in electronic music. His ability to stretch the elastic of drum & bass over the past decade has brought him together with an array of figureheads from all corners of the scene from Metalheadz boss Goldie, to legendary global DJ Paul Oakenfold. Defying categorisation, John’s catalogue straddles electro, punk rock, trance, Latin and drum & bass. 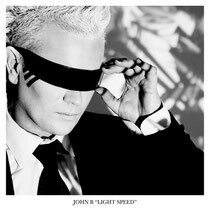 Now as we enter 2012 he’s ready to drop his brand new album ‘Light Speed’, a full-force electro/trance D&B hybrid of truly epic proportions. Featuring collaborations with an array of superb vocalists ‘Light Speed’ is a prime example of an artist not afraid to wear his heart on his sleeve and follow his musical ideals. Look out for ‘Light Speed’ in February next year.